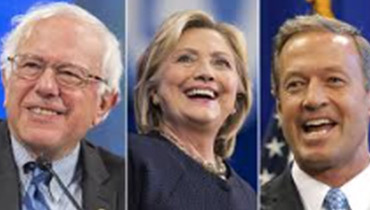 Just a reminder to our followers -- Democratic presidential candidates Hillary Clinton, Bernie Sanders and Martin O'Malley will make their closing arguments tonight, one week before the February 1st Iowa Caucus. Unlike a debate, a "Town Hall" is an informal public meeting and open to the participation of the community. For tonight's event, each candidate will be allotted 30 minutes and no candidate will be on stage at the same time. CNN's Chris Cuomo will moderate questions from members of the audience. Convention Central: Platform Committee Announced! Republicans currently control the US House of Representatives – 247 seats to the Democrats’ 186 (two vacancies in Pennsylvania 2nd CD and Hawaii 1st CD). How good is your political acumen when it comes to predicting this election? For all the political junkies out there, you can now actually test your prowess (and make $$ in the process)!